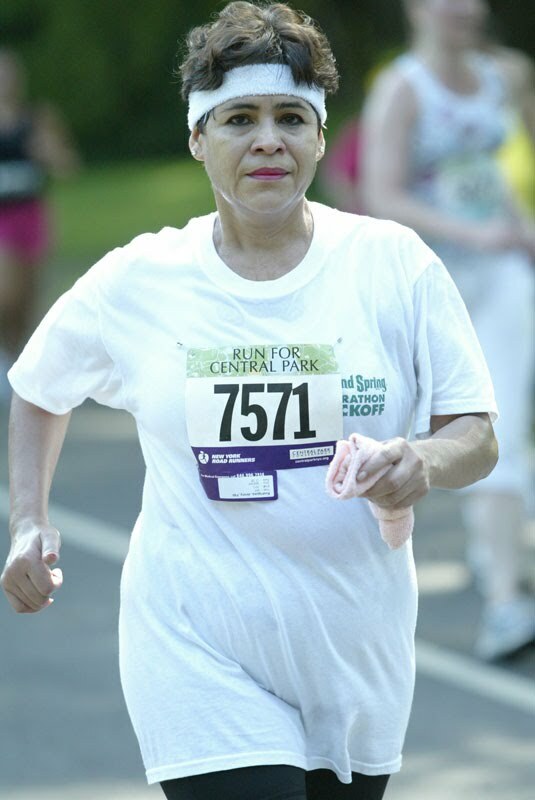 tri-State area embracing runners of all distances and abilities. Kumsa Adugna Megersa who was 2nd in a fine time of 29:18.
with a superb time of 28:47. Bado Worku Merdessa was 15th overall in 30:32 while friend Worku Beyi ran 29:32. 5 minutes off his previously best half marathon in 1:04:49, Teklu Tefera Deneke 19th overall in 1:07:02 and Belay Kassa 23rd in 1:09:06. Hirut Mandefro was 11th woman in 1:15:30 while Claudia Nero came in 21st. 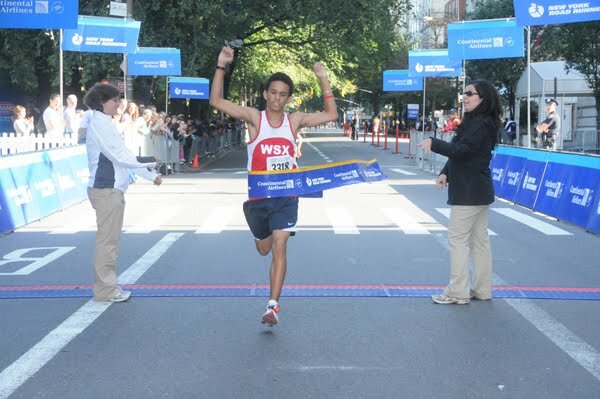 The results are not complete as many runners do not have their teams listed (fault of NYRR) but the WSX men had to be the winners. Serkalem Biset Abrha, who has been training this winter in Ethiopia with Genna Tufa, went to Barcelona. Spain and ran a best marathon time of 2:33.52 coming in 3rd woman overall. Congratulations ! 45-49. The women's team was 5th, Women's Masters 3rd, Men Masters 3rd, and Men 50 and 60 both second. WSX runners and their friends lit up and dominated the dance floor right up to the closing time of 11:00 pm. Deba got up and handily won the female division of the race. She also beat all the guys on the WSX team.which copped second place. in Jacksonville Florida on February 21st. 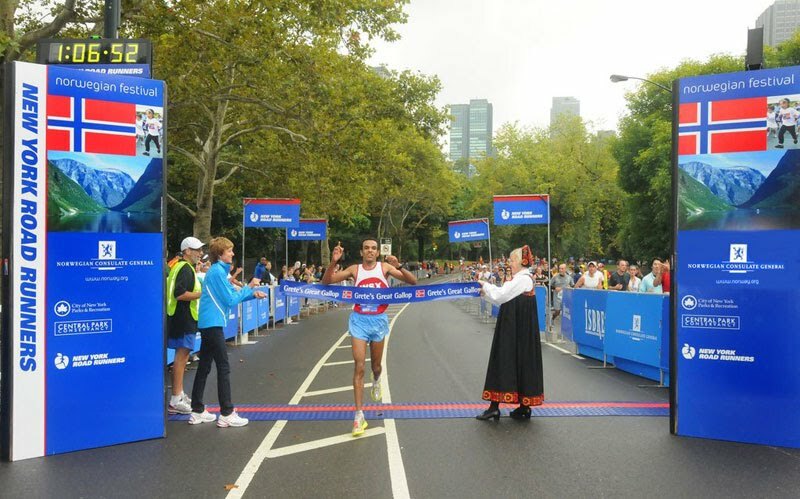 Tesfaye Girma Bekele was the 3rd male finisher in 2:16:56. At the 3M Half Marathon in Austin, Texas January 24th, Hirut Mandefro outstepped Aziza Aliyu for the victory both in 1:14 while Claudia Camargo Nero, on the comeback, came in 3rd overall in 1:15 - a WSX sweep. Meanwhile, Bado Worku Merdessa, running the first serious half marathon of his life, swept 2nd place overall with a fabulous 1:03. 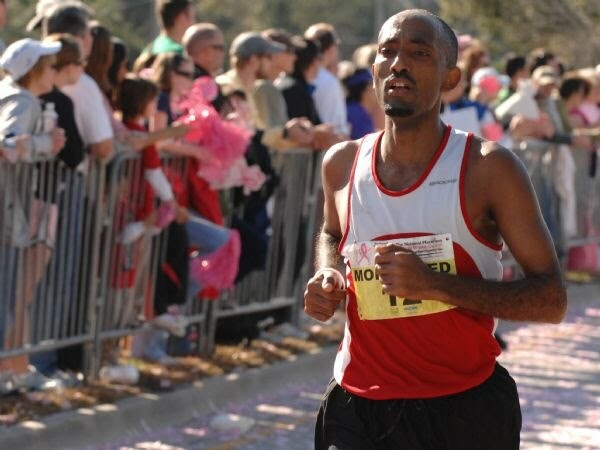 Teklu Tefera Deneke, who won the Bermuda Marathon in 2009, though running faster in 2010, finsihed second overall in 2:20:25.
and 4th in the Mile. Aziza Aliyu was 5th woman in the female elite race. for the team Jan 31st. 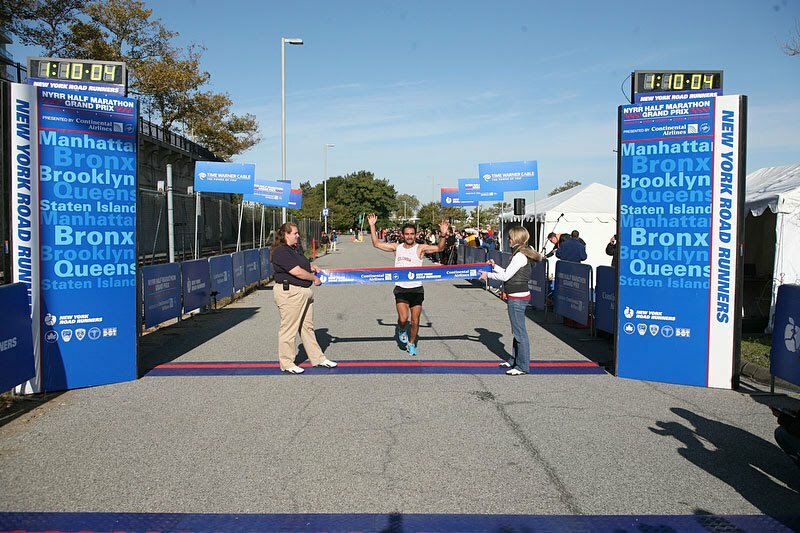 Buzunesh, living in the Bronx, was 7th overall female in the NYC Marathon in 2:35 and then conquered the California International Marathon in Sacramento, with a PR of 2:32. Welcome to WSX! Felicitations to ine of the WSX's best ever runners, Claudia Camargo, who was married last autumn and is now Claudia Nero. She is on the comback trail and won the Kiawah Island Half Marathon in South Carolina on 12/15/09 with a time of 1:19:04. 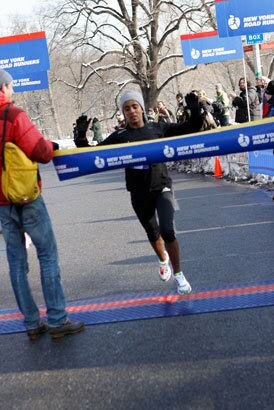 Expect to cheer Claudia on in some of the NYRR races this Spring. Amid a field of national runners, Bado Worku Merdessa finished third overall in the slippery NYRR Emerald Nuts 4 Mile New Year's Eve Midnight Run in Central Park amid sleet and fireworks. 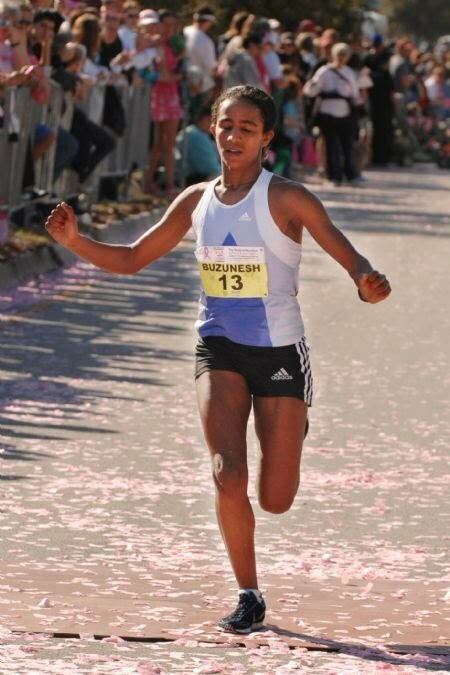 Buzunesh Deba was first woman overall in a stunning 2:32:18. 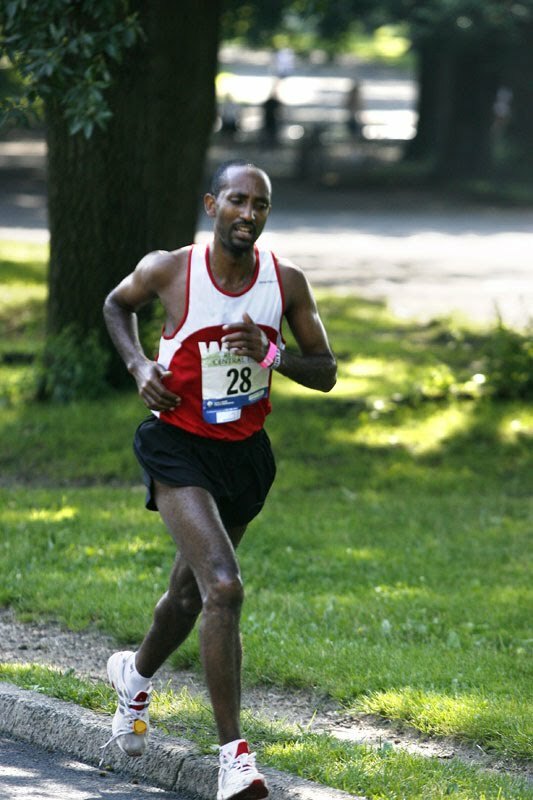 Tesfaye's time was the 2nd best time ever run by a WSX runner while competing for the team. Muliye Gurmu went off course at one point in the Philadelphia Marathon (her 4th marathon in 2 months) but recovered to come in 3rd overall. 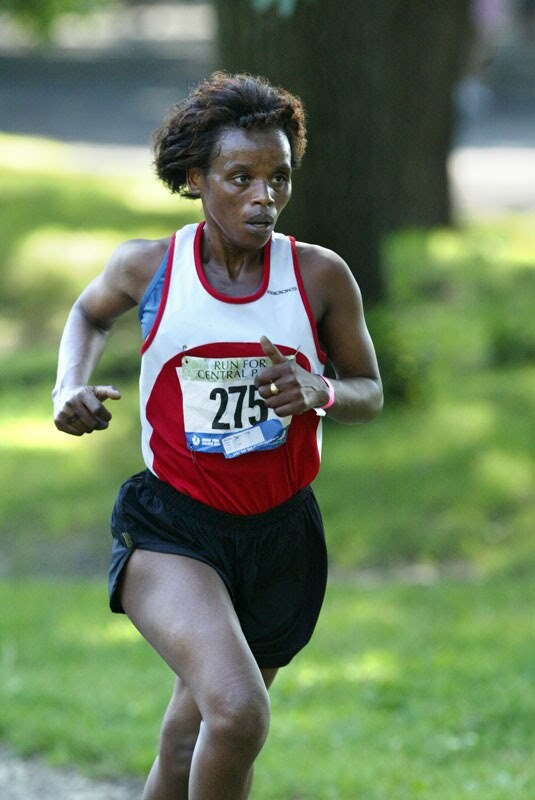 Aziza Aliyu was second woman in the Philadelphia 8K. Derartu Tula, the NYC marathon champion this year, from Ethiopia, and a friend of many WSX runners, was designated honorary member of the WSX team and accepted with pleasure. Others designated as honorary members previously are Alem Kahsay and Yonas Woldesellassie. 29 addtional WSX runners have been assigned the local competitive Green Start with 800-900 bib numbers. 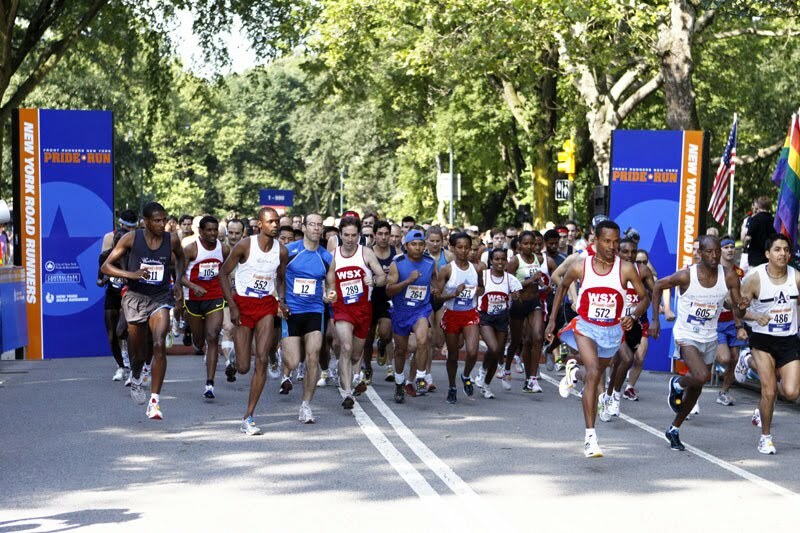 In total 101 WSX runners were accepted in this years NYC Marathon. Good luck to all !! 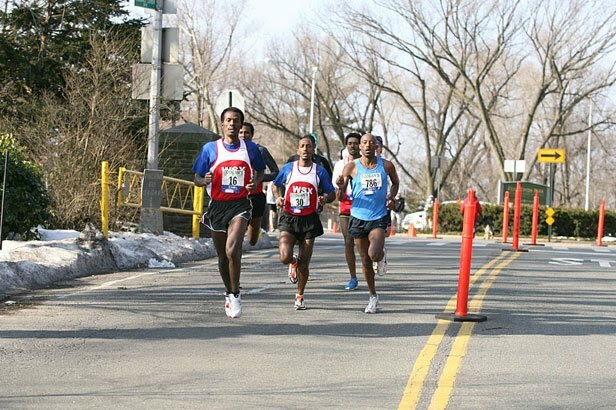 The NYRR botched up in the Grete's Half Marahon so when Halefom Abebe Tsegaye charged toward the finish in first place steps ahead of Ketema Nigusse, the NYRR directed them outside the finish line to run another loop of Central Park - they ran outside the finishing area which was fenced in and continued another 150 meters or more for a third loop. 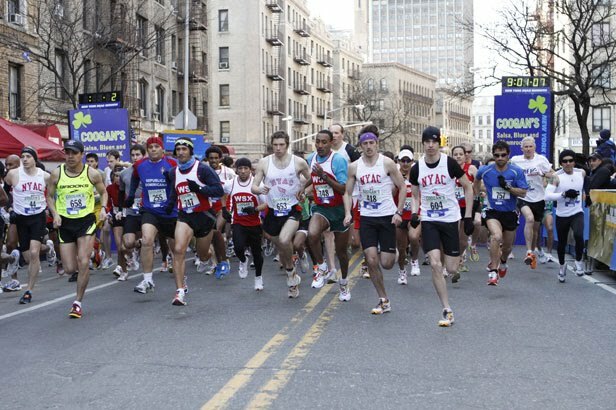 When they realized the mistake of the NYRR they returned to the finish area but could not get over the fence which separated the finishers from those who had to run another loop. In desperation they awkwardly climbed over the fence and got to the official finish area but Ketema got there first and was declared the winner over Halefom. 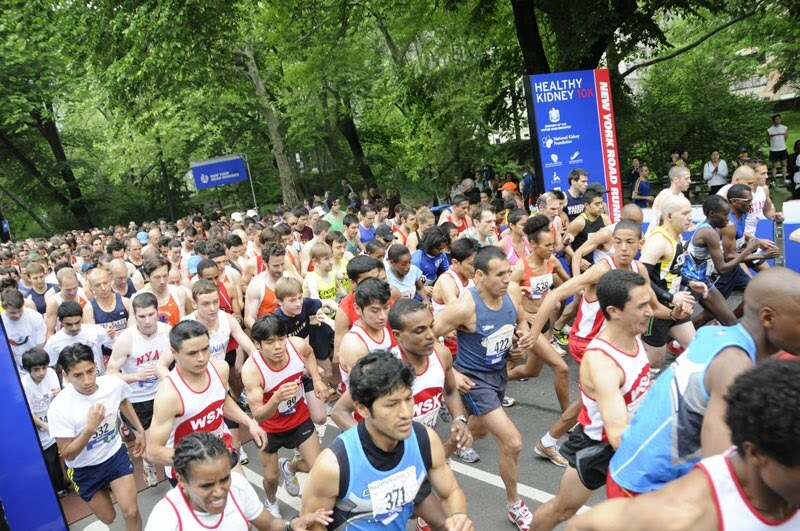 Mary Wittenberg acknowledged the mistake and said that the NYRR would have to award both of them trips to Norway. 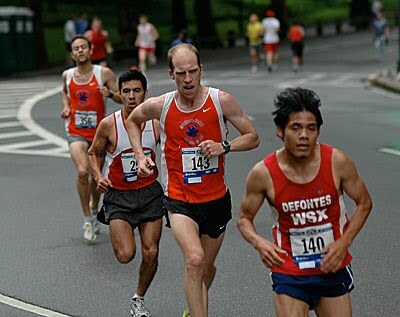 Each of the two runners lost about a minute of time trying to scramble back to the finish. Teklu Tefera Deneke was 3rd, Felipe Garcia 4th and Jorge Real 8th. 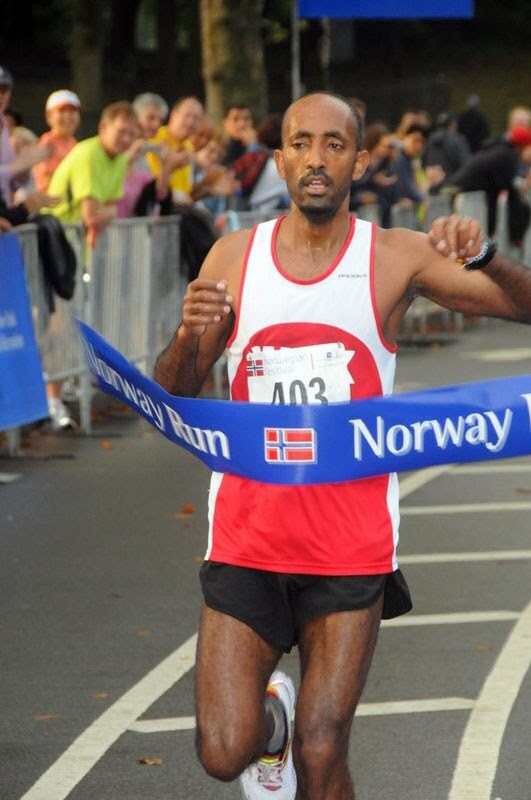 Just before, Mohammed Awol won the 1.8 mile Norway Run while Luis Porto & Alberto Rivera were 1-2 ages 12-14. Men's Team - 1st Place !! Men's Team - 1st Place ! finished 3rd overall (1:12) with Tomas Vazquez 1st Master, 6th overall, . 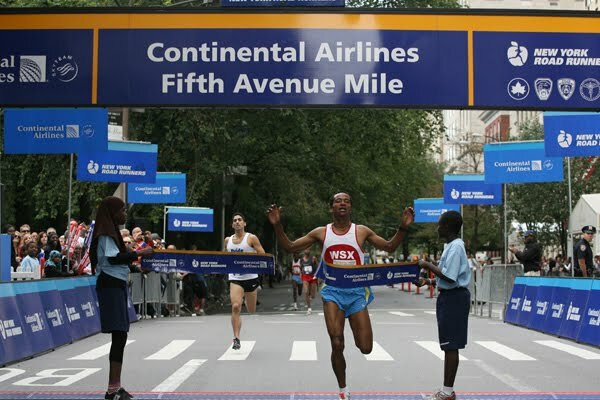 Bado Worku Merdessa won his 4th race in Central Park leading the WSX team to 1st place in a points race, the Fitness Mind, Body, Spirit Games as the WSX men sweep the first 4 places . In their first races for the WSX team Aziza Aliyu won the women's race and Dirbe Hunde, newly arrived from Ethiopia, was third woman overall. Luis Porto and Alberto Rivera were 1-2 among the 12-14 year olds. 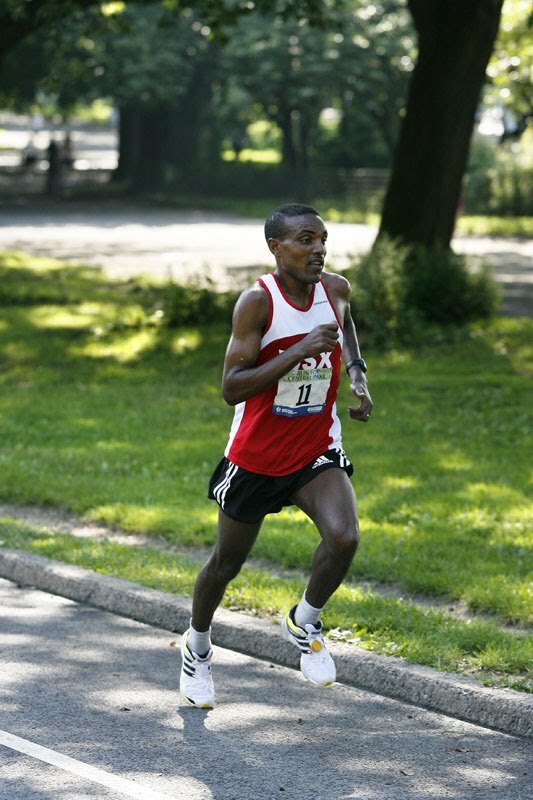 Running a World Class 1:00:38, Tesfaye Girma Bekele won the Spirit of Columbus (Ohio) Half Marathon with a personal record which bested the WSX record previously held by Alene Reta as well. Way to go, Tesfaye !! In the Parkersburg, West Virginia Half Marathon Alene Reta won the race for the third straight year. 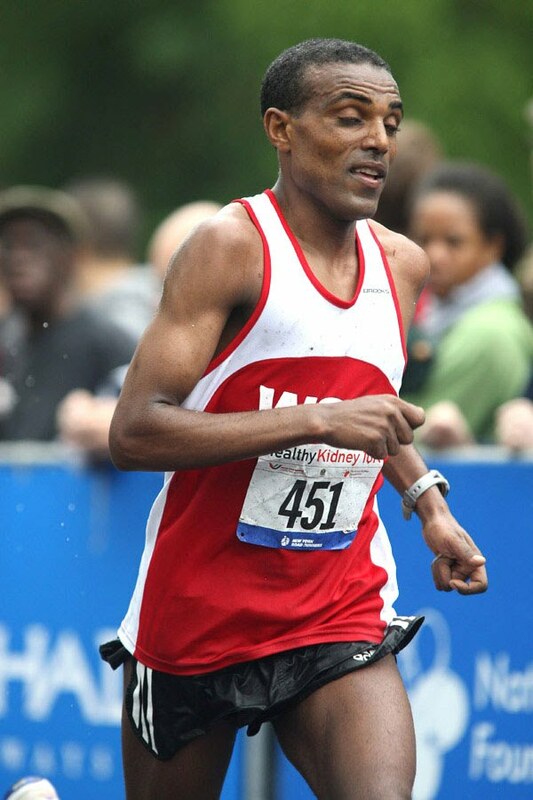 Ralph Yozzo drove two WSX athletes (Fikadu and Ketema) to the race. They drove 20 hours to run 1 hour. Fikadu and Ketema slept for two hours before the race and still woke up to run 5 min / miles and finish 3rd and 4th overall. Not bad. 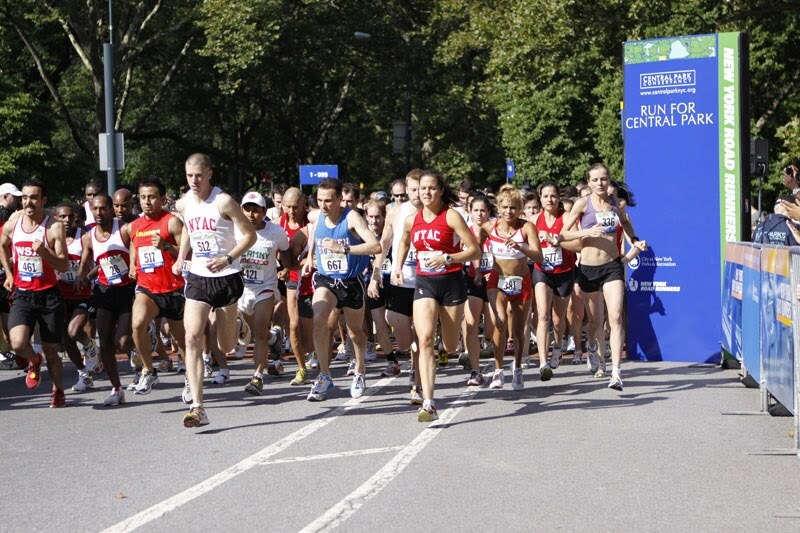 In a surprise both the WSX men's team and the WSX women's team garnered first place in the NYRR Harlem 5K on 8/22. Serkalem Abrha was the overall woman's winner with Lilian Kroner (1st master) in second place. Luis Porto & Alberto Rivera were 1-2 in the 12-14 age group while Asteria Claure-won her new age group 55-59, Phil McCarthy 2nd Mast. 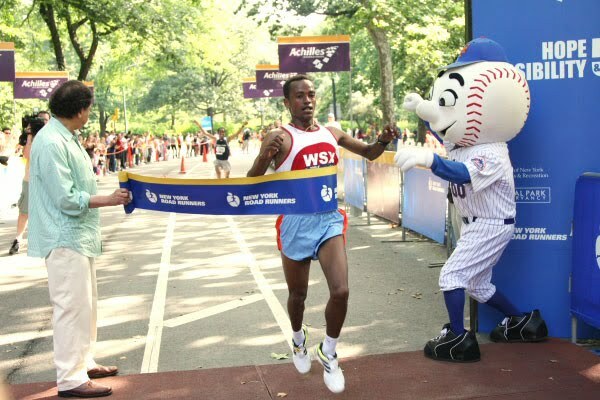 Ketema Nigusse, who was not even an invited athlete, defeated many elite runners to come in 8th overall (1:04:13) in the tepid NYC Half Marathon powering the WSX men's team to first place. Hirut Mandefro was 11th overall woman and the WSX women were 2nd team. Tesfaye Girma ran 1:05:38 and Felipe Vergara was 2nd 40-44. 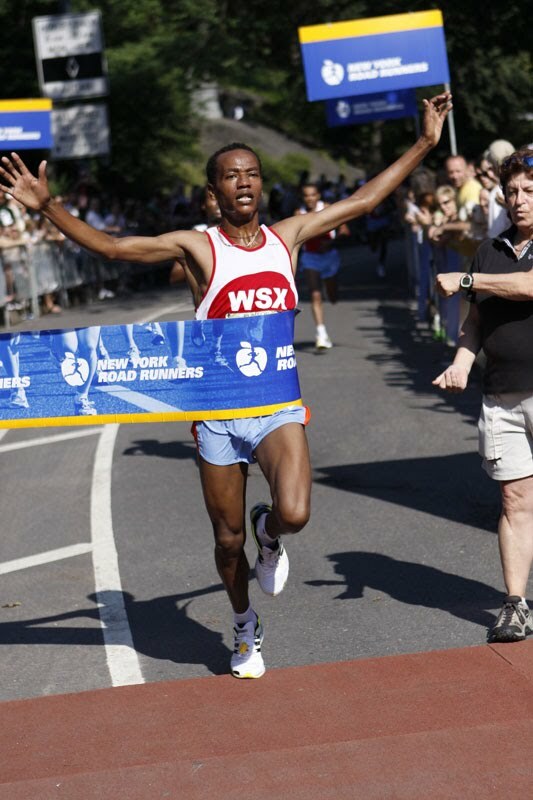 WSX MEN TRIUMPH IN NYRR TEAM CHAMPIONSHIPS AS BADO WORKU MERDESSA WINS IN 23:13. The WSX Men won first place open team by default as 16 Westchester Men were disqualified to run for their team by NYRR rules. Hence the WSX men moved into first place with three WSX guys Bado Worku Merdessa (winner), Tesfaye Girma (3rd), and Ketema Nigusse (5th) placing in the top five. The WSX women's team placed 4th overall with Muluye Girma 3rd Overall and Lilian Kroner 1st Master. 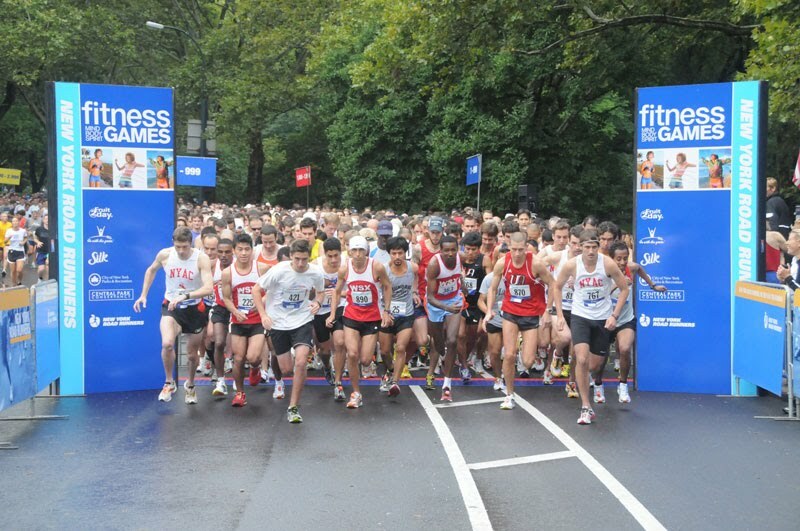 Pedro Cobos, Freddy Almonte, Ralph Yozzo, Bernardo Hernandez had the WSX team designated deleted for them as they had not complied with NYRR absurd rules that they had to run a previous NYRR race for the WSX in 2009. Cobos had scored for the over 50 WSX men's team which fell from 2nd to 6th with the team designation removed for him in the results. Teklu Tefera Deneke turned 30 on July 23rd and celebrated with a birthday party attended by 32 of his (mostly WSX) friends. Here is a photo of his birthday cake from the famous Cafe Lalo. Fikadu Lemma placed 3rd in the Debbie Green 5K in Wheeling, West Virgnia. Ralph Yozzo who drove 15 hours for a 15 minute race earned 2nd place over 40. 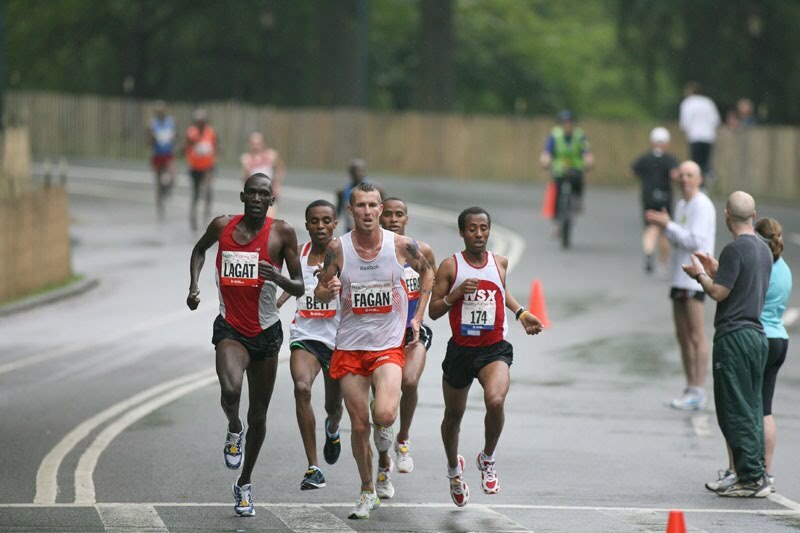 At the NYRR Run for Central Park 4 Mile race on July 18th, 2009, the WSX men easily won first place team as eight of the guys finished among the top 10 all chasing Bado Worku Nerdessa who ran 18:51 to win. 9 Cristian Abad 22:59 3rd 30-39 Men's Team of 3 - 1st Place !! 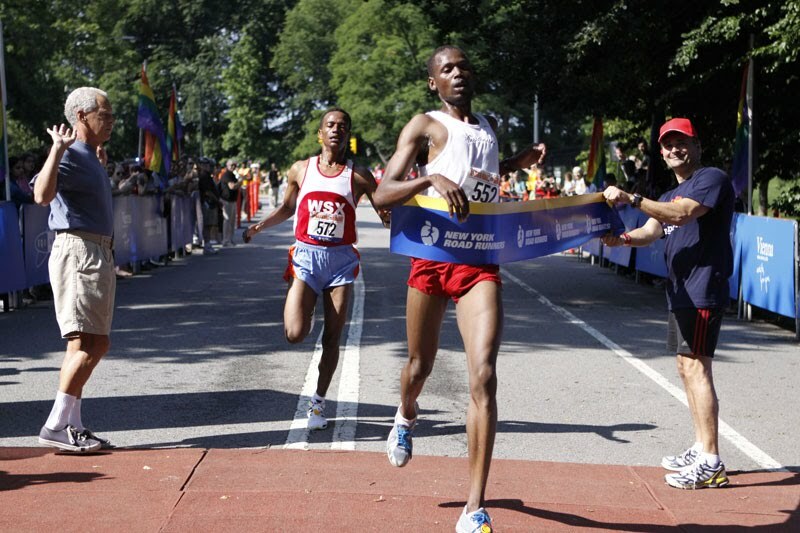 At the Peachtree 10K on July 4th in Atlanta Tesfaye Girma Bekele broke his own WSX record coming in 5th overall in 28:08. 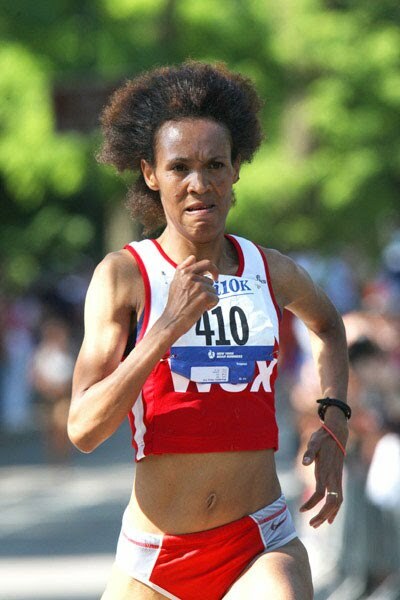 In the same race Hirut Manfredo also broke her own WSX record finishing 12th overall in 33:06. Both had a great race - congratulations !! 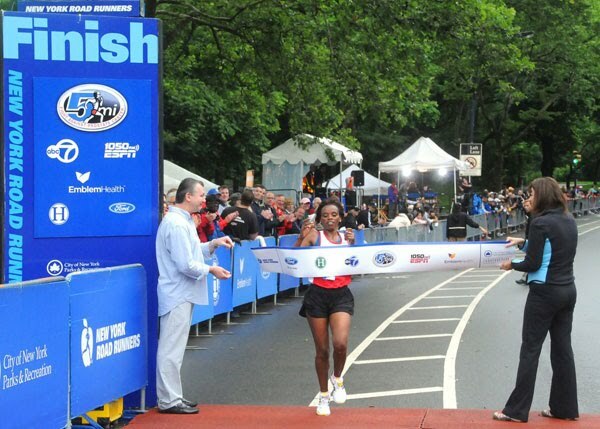 Bado Worku Mendessa, newly arrived from Ethiopia won the Hope and Possibility 5 Mile race in Central Park on June 28th edging out Tesfaye Girma by 2 seconds. 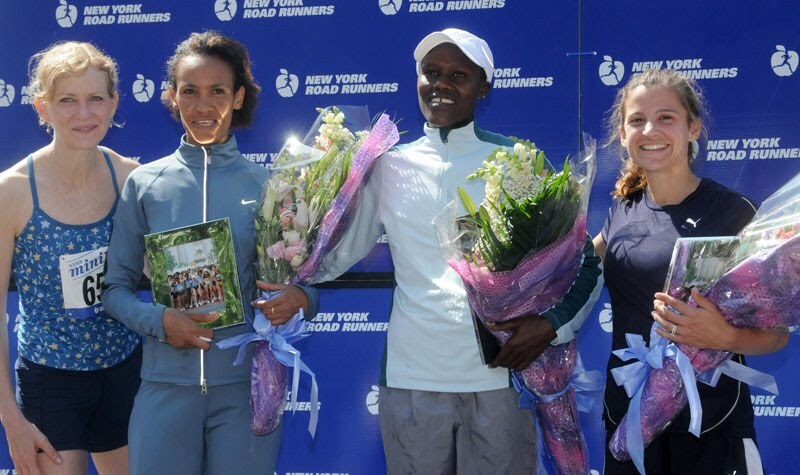 Teklu Tefera Deneke was 4th & Muliye Gurmu was second woman overall. Karen Roa was 7th woman. 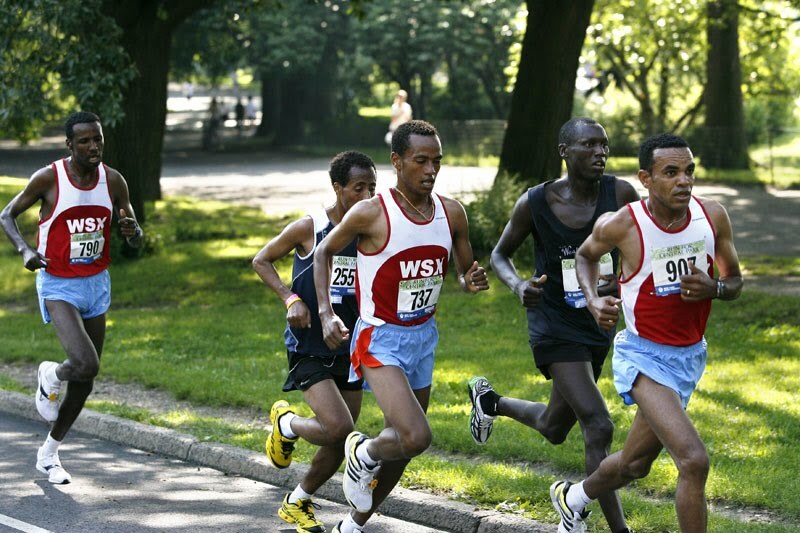 The WSX men's team, led by newcomer Bado Worku Mendessa won first place in the Gay Pride 5 Miler on June 27th and the women's team echoed that also winning first place. 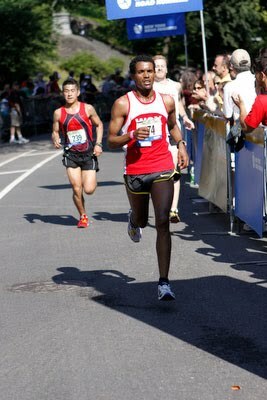 Muliye Gurmu easily won the Father's Day 5 Mile Race and later appeared on ABC television. The men's masters team (40 and up) finished second - Felipe Vergara, Jose Santiago, Jose Carmona and the men's Vet team (50 and up) finished 1st (Jose Santiago, Jaime Palacios, Cesar Estevez). The women's open team finished 3rd. Hirut Mandefro, an Ethiopian living in Silver Spring, Md. 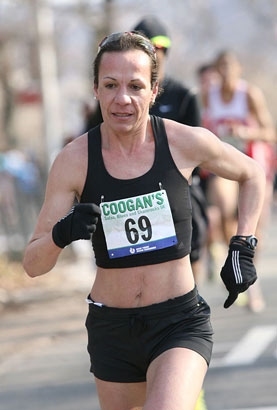 ran her first race as a WSX runner and broke Claudia Camargo's 10K record of 33:55 with a stunning 33:13 in the NYRR Mini Marathon on June 7th. 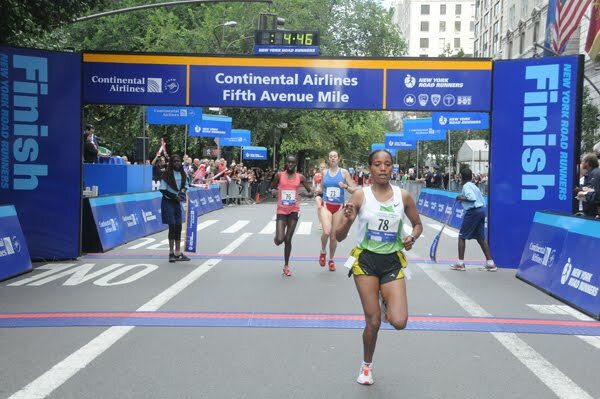 Hirut, who was not invited by the NYRR as an elite athlete, beat almost all of them comning in third overall. The women's team was 7th (Muliye Gurmu, Lorena Bacqueiro, Paula Yepes, Lubia Iboy). Hirut was observed by a slew of WSX guys who volunteered at this race. 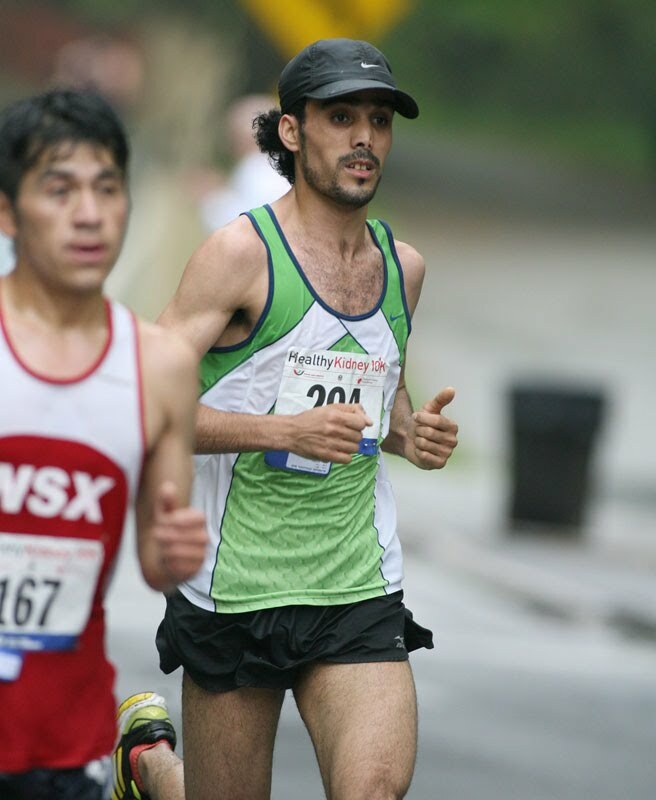 Elmustafa Mchkirate third male in Mother's Day 4 Miler and Overall Winner in Cinco de Mayo 5K as WSX Men's Team garners 1st place in both races. 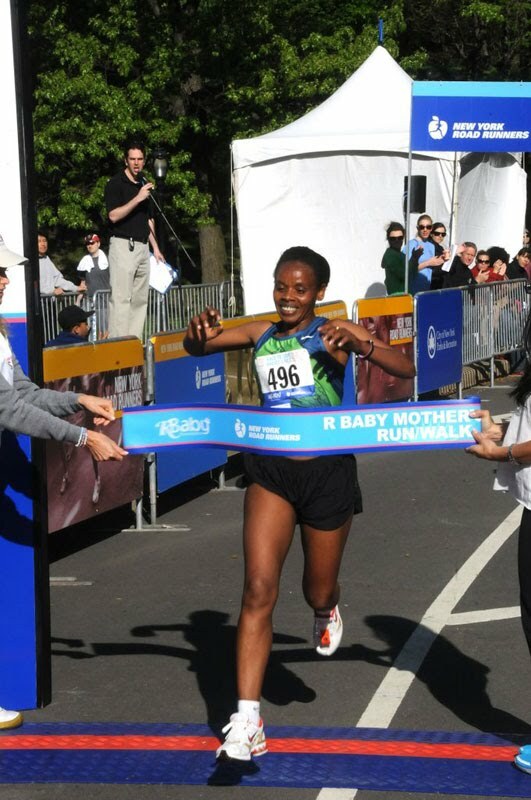 Muluye Gurma wins Mother's day Race in 22:31. 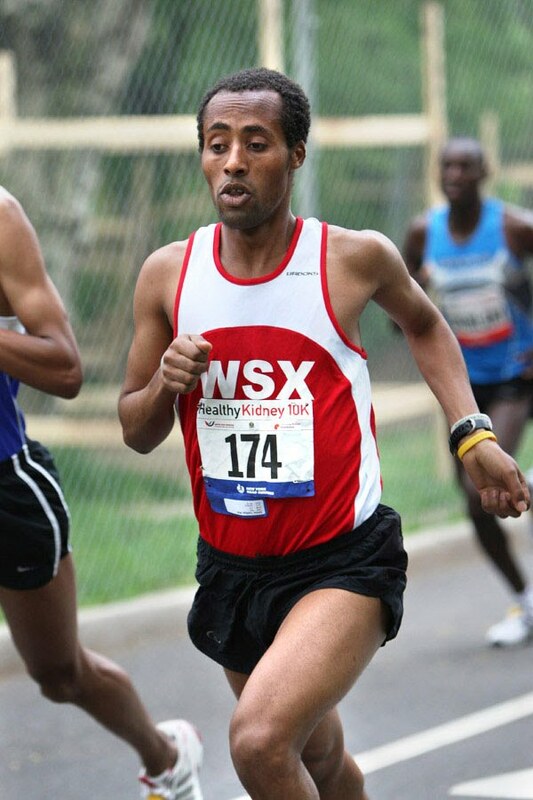 TESFAYE GIRMA BREAKS WSX RECORD FOR 10 KILOMETERS BY WINNING THE PIKE'S PEEK 10K IN ROCKVILLE MARYLAND ON APRIL 26TH IN 28:30. THE OLD RECORD WAS HELD BY ALENE RETA.